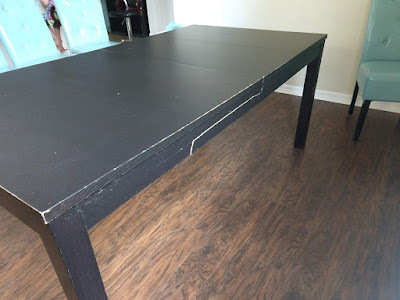 Our well-loved and broken IKEA table... it was time to go. Hello fru-gal friends! It's been a super long time since I last posted on my blog. Since my last post, we've had another baby and moved across country. Though life can get crazy with homeschooling and ministry and life in general, I'm going to try to start setting more time aside again to share my frugal adventures with you. When we moved from Colorado to Florida last summer, our beloved IKEA dining room table got a little banged up in the moving truck. 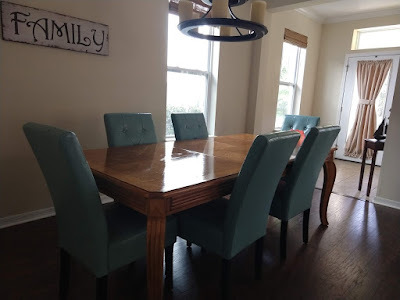 We've made do and still put it to good use over the last year, but when a friend of mine offered her kitchen table for free, I said, "We'll take it!" 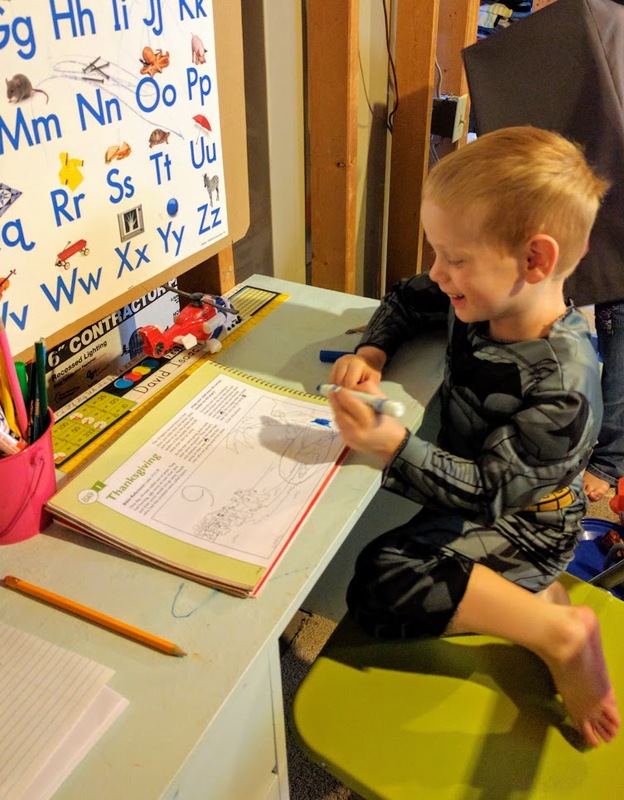 One of the many benefits of homeschooling that I listed in my previous post, Falling in Love with Homeschooling, is the affordability of homeschooling. And depending on which curriculum you choose, it can be even more affordable! I tend to pick and choose curriculum in a more eclectic approach instead of buying an all-in-one package per grade, which fits my teaching style better and saves our family even more money. After doing some research, I've already purchased my curriculum for next year (so exciting)! I'll have a second grader and kindergartner to teach. I wanted to share with you what my plans are and how much I spent (less than $60 for each grade)! This is a great deal in comparison to some of the package deals. For example, the Sonlight Curriculum for the full second grade package costs over $800! and I enjoy how it's an easy format to teach with the workbooks and repeats the content throughout the book for mastery of various concepts. We usually do 1-2 pages of math a day and it works really well for our schedule. I bought this curriculum again for both of my kids. The Horizons phonics/language arts curriculum wasn't as well rated as their math, so I decided to go with something different for Language Arts. 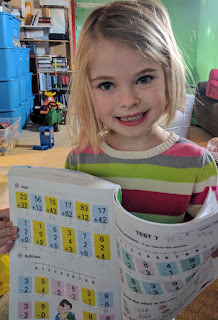 For my second grader, I'm pretty privileged to have a retired school teacher/administrator for a mom, so she has been putting together literacy lessons that correlate to various books for our reading. I also purchased Explode the Code for phonics instruction and use K12reader.com for a free 36-week spelling program. 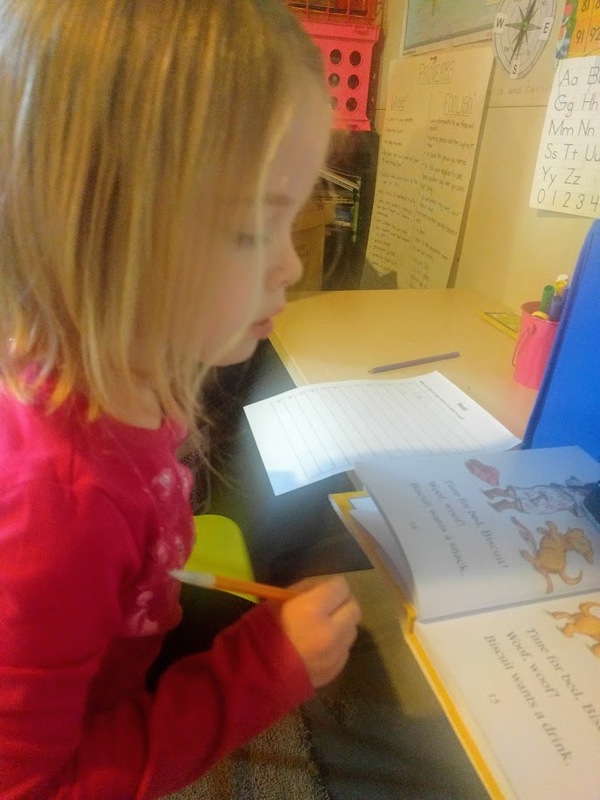 I wanted something more put together for my kindergartner that I wouldn't have to do a lot of prepwork for and decided to try the LIFEPAC language arts set (with teacher book and two student work books). I like how there are additional activities suggested in the teacher book to go along with each lesson, and many of these are Bible based activities. 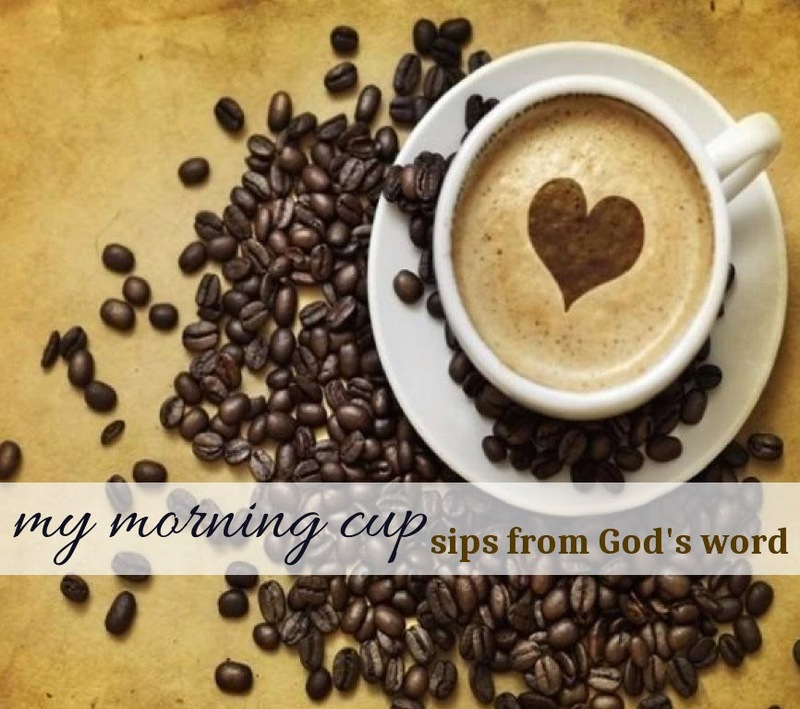 memorize verses and learn various lessons. In addition, I'm using What's in the Bible for my second grader as my mom-in-law has the entire DVD set, plus there are free resources online to go along with the DVDs. They're very thorough, informative, and fun with catchy songs and funny puppets. I'm trying DK Workbooks for 2nd grade Geography. The workbooks are relatively cheap on Amazon and I thought I'd try one since it has good reviews. If we like it, I may purchase the 2nd grade science workbook also. 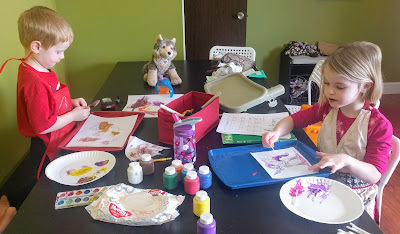 My kids also go to an all-day homeschool enrichment program at a local charter school on Fridays, so I'm very thankful and blessed that they get many electives taught to them by amazing teachers for free, including art, music, and science. 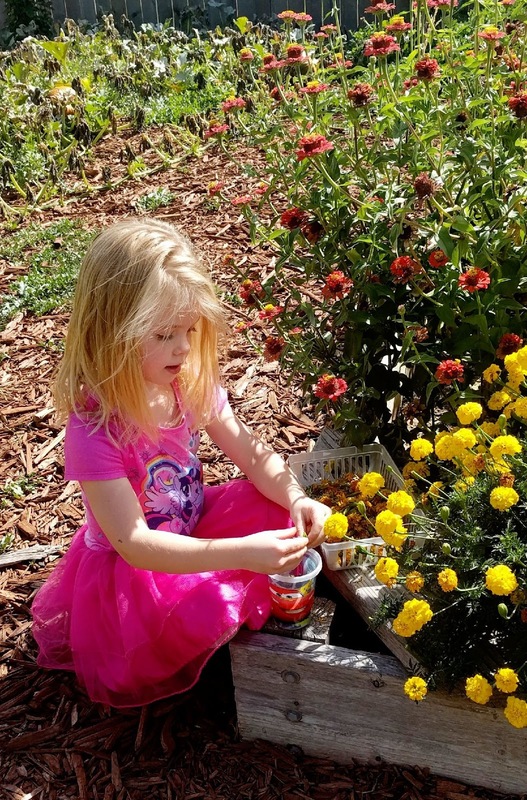 Plus, they enjoy the social time with friends and the fun of going to a "big" school. I'll let you know what I think of these different resources as we use them and if I plan to buy them again in future years. 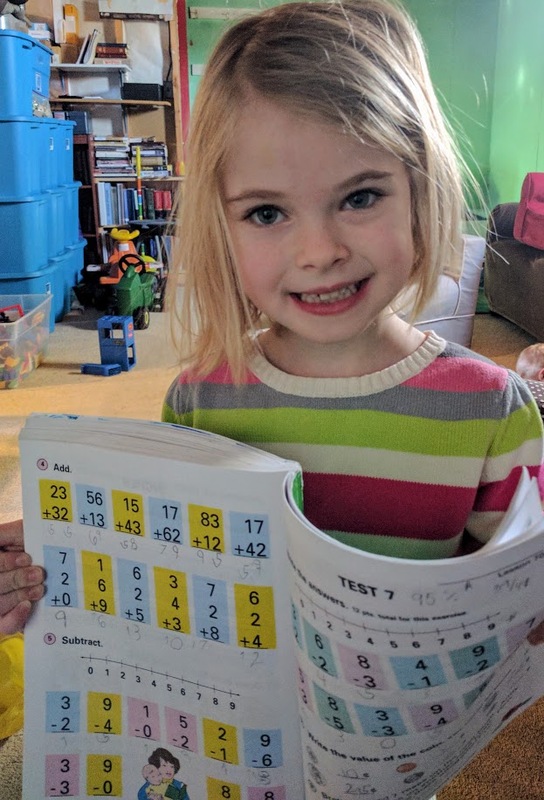 It's always nice to hear what other home school families are doing and I'd love to hear what curriculum you use and recommend! 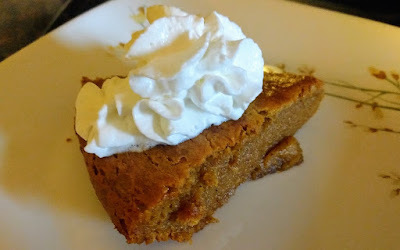 I've never made a pumpkin pie, let alone a gluten-free one, but I thought I'd give this "Impossible Pumpkin Pie" recipe a shot with Thanksgiving approaching! I did a practice run this morning and it was super easy AND delicious! The kids loved it. 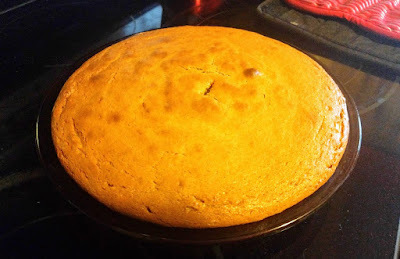 The recipe does still call for eggs and dairy, but if you need a gluten-free alternative, I definitely recommend this recipe (it can also be made with regular Bisquick if you don't need it to be gluten-free, but want an easy pie recipe)! 1. Preheat oven to 350 degrees. Lightly grease a pie pan and set aside. 2. In a blender, combine all ingredients in order given. Beat for 1 minute on high (or 2 minutes if doing by hand). Pour batter into pie pan. Bake until knife inserted in the center comes out clean, about 50-60 minutes. It's my favorite time of the year... time to pack Operational Christmas Child shoe boxes! 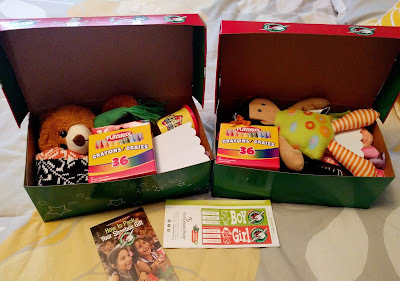 If you haven't participated in this ministry before, you're missing out on a wonderful privilege to bless impoverished children around the world with a shoe box full of presents (plus the amazing gift of the Gospel). National Collection Week is November 14-21, so there's still time to pack a shoe box (or more)! Find out how at Samaritan's Purse.